Politicians are by nature a strange breed of actor, peddler, and chieftain, all coexisting beneath a paper-thin veneer of compassion for their constituents. Most political stories serve us characters that are affable glad-handers with a dent or two in their armor. 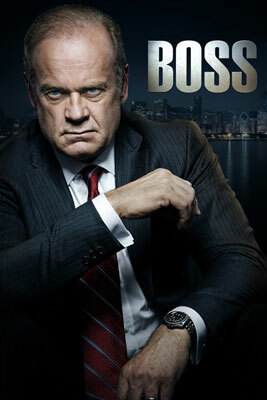 The cable program, Boss, however, brings us a tragic tale of Tom Kane, the embattled Mayor of Chicago, surrounded by the usual political hacks and hounds, snapping at his heels for special favors and a chance to be in his inner circle. The irony is that Boss Kane has no inner circle, since he treats his assistants, lovers, colleagues, competitors, and his own family – all with equal aloofness and barely concealed distain. 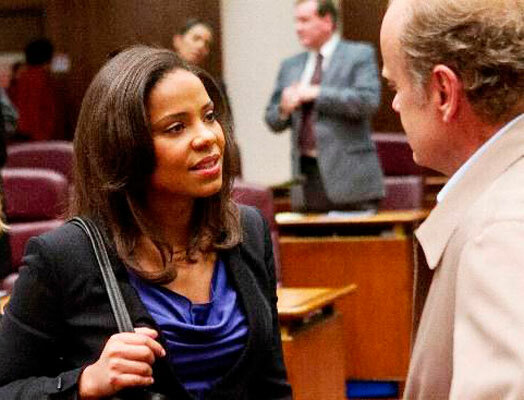 Kelsey Grammer, usually going for more likeable roles, breaks out with Boss, wearing the Kane character like a second skin that chafes with every move and burns with every caustic demand. Yet, hidden at the core of this Machiavellian machine is a personal crisis that occasionally humanizes him: Tom Kane is suffering from a neurological dementia that promises to render him physically and mentally dependent upon others – and within a very short time. Kane desperately tries to micro-manage his illness while mending fences with his estranged daughter, Emma, and keeping the feuding sharks adrift. 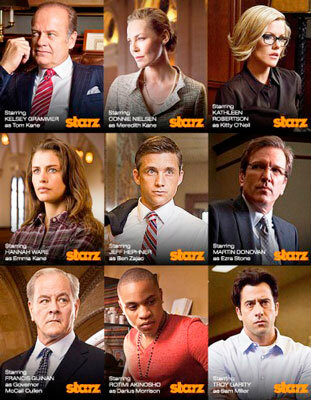 The notable Starz cast includes Connie Nielsen, as Kane’s doubting wife, Meredith, Hannah Ware as the conflicted Emma, Kathleen Robertson as the mayor’s personal aide, Kitty, (who loves getting personal), Jeff Hephner is the smug Ben Zajac, a new kid on the block, Troy Garity as principled journalist Sam Miller, stubbornly trying to uncover the truth about Kane’s corrupt administration, Martin Donovan as Ezra Stone, Kane’s right-hand man, and Rotimi Akinosho as Emma’s love interest, Darius, the drug dealer with a heart of gold. A taunt musical score by Brian Reitzell adds just the right tone of desolation for the characters as they act out their collective tale of woe and cynicism. The only weak link to this otherwise excellent production is the Emma-Darius storyline. Screen writer Farhad Safina has a recovering drug addict who now serves as a community minister, spouting some of the most depressing sermons while sexing it up with a street-wise thug. Both Ware and Akinosho appear to be struggling with the material, possibly because they haven’t had much screen experience. Billed as a political drama, Boss plays more like a Shakespearean net-noir play in three acts, with everyone stuck on gloomy. Directors Mario Van Peebles and Jim McKay, together with co-producer Gus Van Sant, lay bare an environs where the only smiles and feel-good statements are reserved for the 24 hour news cycle. Only young jackal Zajac enjoys himself – and that’s because he’s too new to know any better. 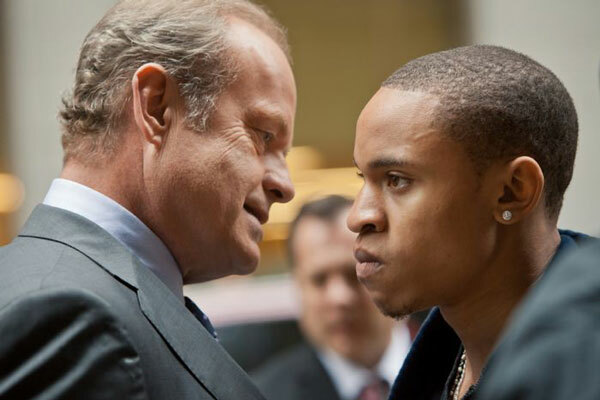 The old adage “What doesn’t kill you makes you stronger”, does apply here, because the morose atmosphere is exactly what makes Boss – and Kelsey Grammar – so fascinating to watch. There is no endearing role model to pass down any words of wisdom, nor are there any lofty ideals to inspire a young civil servant. And that’s exactly the point – the constituents, their laws, and society’s ethical considerations only serve to get in the way of a clean kill in the political arena. This reviewer mourned the loss of Boss when Starz abruptly cancelled the series after just two seasons. For a short time an urban legend about a possible film treatment was cause for rejoicing; but alas, the curtain was swiftly lowered and all that remains is silence. *This review originally appeared in OutsideHollywoodland.com - November, 2011. COPYRIGHT 2012/2017. Paulette Reynolds. All CineMata Movie Madness blog articles, reviews, faux interviews, commentary, and the Cine Mata character are under the sole ownership of Paulette Reynolds. All intellectual and creative rights reserved.